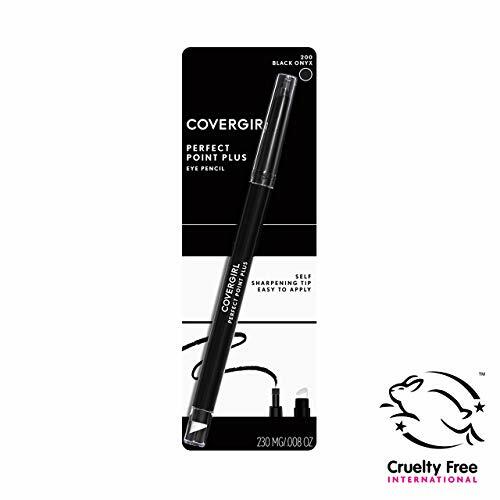 Contains one COVERGIRL Perfect Point PLUS Eyeliner Pencil in Black Onyx color with a blending tip. This self sharpening eyeliner pencil gives precisely perfect lines each time, or soft blend for a smokey look. Pair with COVERGIRL mascara for a bold look! COVERGIRL has your makeup needs covered with a wide range of makeup from mascara, eyeliner, & eyeshadow to lipstick, lip liner & lip gloss to blush, foundation & powder. There's a COVERGIRL product for every style & look. COVERGIRL- I am what I make up. Final Price as low as $3.95!